The Paralympics, And My Hero! If you read my blog, you’ll know how I never managed to get too excited over the ‘big’ Olympics this year. It’s pretty much a school sports day for grown-ups. What we REALLY need to see is a Drug Olympics – anything goes, so we can see what the human body is REALLY capable of doing! Hence why you might not be surprised to hear I’m even less enthusiastic over the Paralympics. Don’t get me wrong – they’re all great, and full respect for getting bits lopped off and still going for it and stuff, but I’d still rather watch motor racing (which doesn’t discriminate for disabilities). One thing I AM very excited about in the Paralympics is seeing Alex (Alessandro) Zanardi. He’ll be doing his thing in the handcycle for the first and probably last time – and he has a good chance of winning, too! It would be the perfect ending to his story (‘My Story’ is his awesome autobiography, too – go read it!) which I’ve been following very closely. 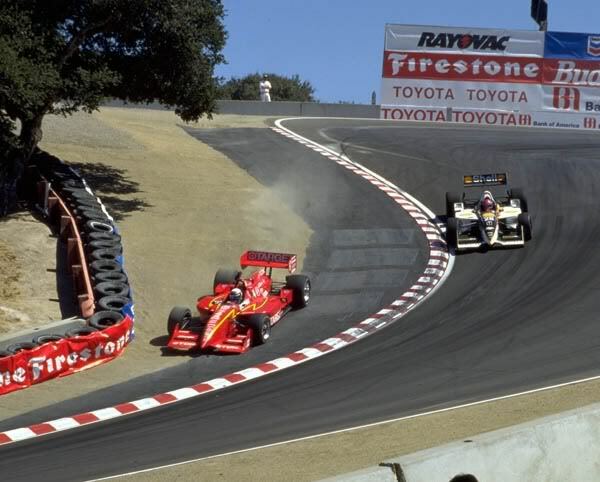 From his days as one of the best drivers ever seen in Indycar (with the best pass ever seen at Laguna Seca’s corkscrew), winning two championships with many races from the back of the grid, getting both of his legs smashed off in a 240mph t-bone accident, and his amazing comeback shortly afterwards. Within a couple of years of the accident which should have killed him – the forces of getting hit at that speed alone should have done it, let alone the massive blood loss – he returned to the circuit in a specially adapted Indycar, and completed the laps he’d missed from that race in Germany. At a pace that would have had him running at the front again! He won his first race in a modified WTCC BMW shortly afterwards. And all this from humble beginings – unlike most top racers who were born into money an made use of it to get them to the top. As part of staying fit he took to handcycling, and his competitive nature came through once again, and he started competing and winning at that, too. I can’t wait to see him, and hope he gets the gold! Another reason is that having a rant about him when asked “Who’s your hero?” in a recent job interview nailed me the job! So thank you Alex – and best of luck!